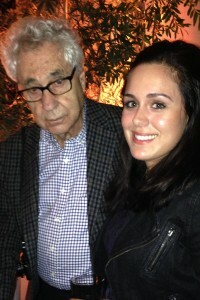 Hollywood celebrities and art lovers came together last night to celebrate photographer Elliott Erwitt and the US launch of “The Macallan Masters of Photography: Elliott Erwitt Edition” at Leica Gallery in Los Angeles. The fourth edition of the series (previous honorees include Annie Leibovitz, Albert Watson, and Rankin) commissioned “the world’s most influential living photographer” (says Ken Grier, Director of Malts, the Edrington Group) to capture the spirit and character of Scotland with a collection of 158 images. Of those, 58 of the images were paired with one of 58 unreleased single cask whiskies showcasing the art of whisky making and photography. 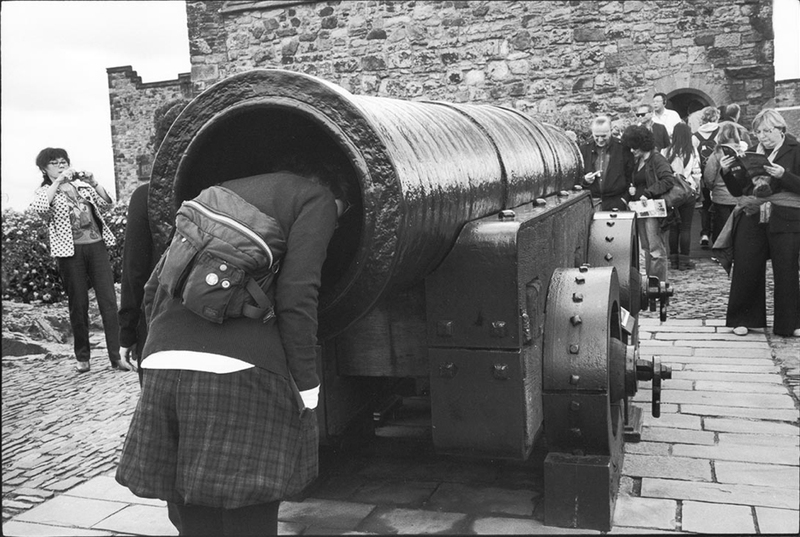 The featured photographs were all shot in black and white, capturing the all-important “decisive moment” in various places- the Highlands and Islands, Glasgow, and Edinburgh. Erwitt says, “Photography is an art of observation – it’s about creating something extraordinary out of the ordinary. You choose a frame and then wait until the right time for something magical to come along and fill it.” The Scottish people and their canine best friends, as well as the beautiful landscapes, were highlighted in the photos. 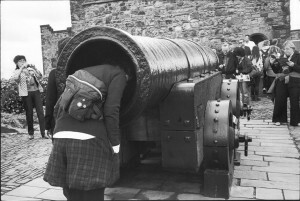 The most interesting of the bunch were when Erwitt’s sense of humor mixed with his eye for photography- like in the photograph titled “Mons Meg, Edinburgh Castle, Edinburgh” where you see someone sticking their head in a canon, with tourists surrounding taking photos. Guests made their way through the exhibition drinking 10,15, or 18 year Macallan for the occasion. 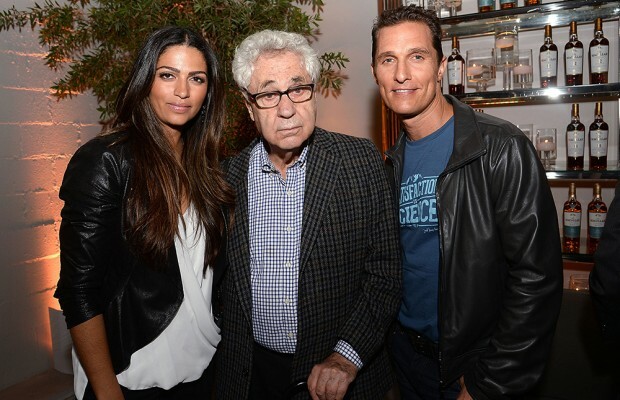 Celebrities in attendance included Matthew McConaughey and Camila Alves , Amy Smart and hubby Carter Oosterhouse, Kevin McKidd, M83’s Morgan Kibby, Panic! at the Disco’s Brendon Urie , Rich Sommer, among many others. But the most endearing part of the evening was watching 85-year old Elliott Erwitt himself mingle with guests and happily pose for photographs.